William Roberts, MD, MS, is a Professor and Director of Faculty Affairs in the Department of Family Medicine and Community Health. 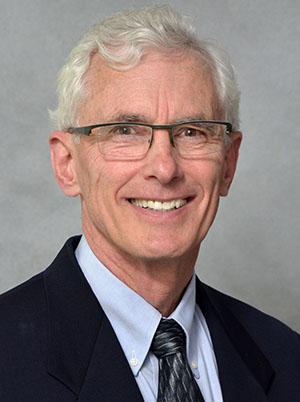 He serves as faculty in the University of Minnesota St. John’s Hospital Family Medicine Residency and the University of Minnesota Program in Sports Medicine. He is also part of the Medical School Master Mentor Program. Dr. Roberts is a Fellow, Past President, and Past Foundation President of the American College of Sports Medicine; a charter member of the American Medical Society of Sports Medicine; a founding member and Past President of the International Institute of Race Medicine; Editor in Chief Emeritus for Current Sports Medicine Reports; an Editorial Board Member of Medicine and Science in Sports and Exercise, British Journal of Sports Medicine, and Clinical Journal of Sports Medicine; the Medical Director for Twin Cities in Motion and the Medtronic Twin Cities Marathon; the Chair of the Sports Medicine Advisory Committee for the Minnesota State High School League; and a member of the USA Soccer Cup Tournament Sports Medicine Advisory Committee. His research is in ice hockey and marathon-related illness and injury. He has authored many research and educational publications in sports medicine, and has presented nationally and internationally on sports medicine topics. Note: Ten recent publications are listed. Roberts WO. An Indelible Stain: The Conspiracy of Silence. Curr Spts Med Rep (Published online ahead of print February 22 2019). Krabek BJ, Tenforde A, Davis IS, Hemecourt P, Frederickson M, Harrast MA, Luke A, Roberts WO. Youth Distance Running: Strategies for training and injury reduction. Curr SportsMed Rep 2019; 18(2): 53-59. Smith AM, Farrell KJ, Roberts WO, Moris MR, Stuart MJ. Eliminating Fighting and Head Hits from Hockey: Opportunities and Barriers. Curr Sprts Med Rep 18(1): 35-40, 2019. Smith AM, Alford PA, Aubry M, Benson B, Black A...Roberts WO, et al. Proceedings from the Ice Hockey Summit III: Action on Concussion. Curr Sprts Med Rep 18(1): 23–34, 2019. Honsvall AM, Lane KR, Roberts WO. A Marathon Runner with Vertigo after the Race. Curr Sports Med Rep 2018; 17(11): 362-362.